A nationwide search is underway for the culprit or culprits responsible for targeting critics of President Donald Trump with crudely made mail bombs and investigators now say some, if not all, of the packages were mailed from the South Florida region. Officials added that although they have honed in on the Sunshine State, they do not have a specific suspect or motive just yet. They are looking for ongoing forensic work or tips from the public to help them catch a break in the bizarre case quickly. 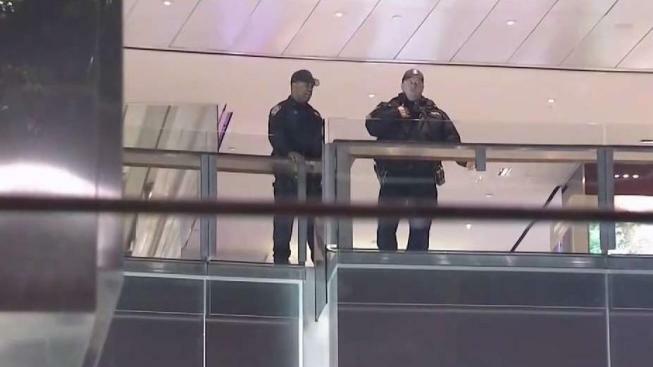 The NYPD swarmed a mall at the Time Warner Center Thursday after unattended toys sparked a suspicious package scare, just a day after the Columbus Circle office that houses CNN was evacuated. It was deemed a false alarm; however, authorities at the same time flocked a mail facility north of Miami to search for clues they say was the real deal. The FBI said they think that regional post office processing center is where the pipe bombs first passed through, meaning some if not all of the 10 bombs were mailed from that area to top Democrats and others in New York, Washington, Delaware and Los Angeles. Officials continue to probe leads after up to 10 explosive packages sent to high-profile Democrats and supporters in nearly a half-dozen states. Jonathan Dienst reports. It's small break in the four-day case. As of Thursday evening -- several days after the first device was found at the New York home of billionaire George Soros -- there were still no leads on a suspect in the case. It also remains unclear if their builder intended for them to actually explode or were part of some politically motivated hoax. Hours after authorities found devices addressed to former Vice President Joe Biden and one to actor Robert De Niro Thursday, investigators revealed the devices examined so far were poorly made. So far, there have been 10 packages discovered, none of which have been detonated. Three -- two addressed to former Vice President Joe Biden in Delaware and one addressed to Robert De Niro at a building he owns in Manhattan -- were discovered in a flurry of frenzied hours before 10 a.m. Thursday. Officials said a retired NYPD detective watching the news Thursday morning alerted them to a device mailed to De Niro. He recognized the suspicious packages on the broadcast as similar to one he had screened earlier in the week. 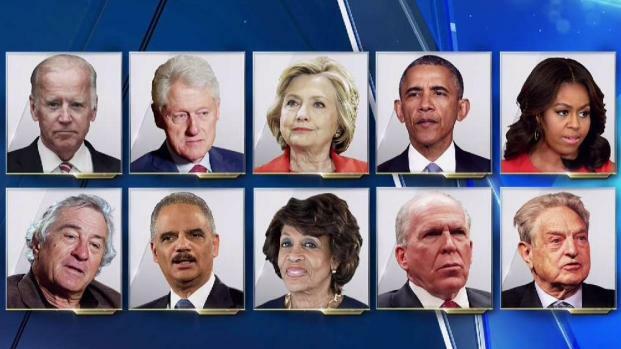 The others came in the prior 72 hours: two were addressed to Rep. Maxine Waters of California; others were also addressed to Hillary Clinton, former President Obama, ex-Attorney General Eric Holder and former CIA Director John Brennan. The first was left at Soros' home in Westchester County on Monday. According to sources, the explosive devices were made from PVC pipe and contained a timer (likely a digital alarm clock) to set off the detonator. The powder contained in the bombs comes from pyrotechnics. X-rays show there was likely shrapnel inside the PVC pipe, law enforcement officials say. Officials in several states have described the devices as live explosives, and a number of senior bomb technicians briefed on the probes said they all had the needed components to detonate successfully. "As far as a hoax device, we're not treating it that way," said Police Commissioner James O'Neill. Officials didn't elaborate on the reasoning, but the return address listed on each one was the Florida office of ex-Democratic National Committee chair Rep. Debbie Wasserman Schultz. Investigators are looking into any past incidents involving her office to determine if there could be any connections to the current probe, but have said there is no suggestion she had involvement. Investigators are working to glean forensic clues to help identify who sent them, gathering fingerprints and DNA evidence while tracking the origin of the packages and the components used. While some have made note of the fact that the devices were not postmarked, multiple officials have said this was not uncommon, and that because of the soft packaging they could not go through automated sorting machines to have their postage canceled. Larry Johnson, a former head of criminal investigations for the U.S. Secret Service who also served as a special agent in charge of the presidential protective detail, said it is highly likely the person or people who built the bombs have been previously flagged by law enforcement. At a joint NYPD/FBI briefing in New York Thursday afternoon, Mayor Bill de Blasio urged people to come forward with any information on suspicious packages. FBI New York assistant director William Sweeney said initial analysis of powder found in packages in New York found it posed no biological threat. But investigators cautioned that the analysis is far from complete, and they say anyone who encounters one of the parcels should treat them as dangerous. Officials said they were treating the items as "potential explosive devices." The latest development could lend credence to a theory New York Gov. Andrew Cuomo mentioned in a Thursday interview with CNN, where one of the devices was sent. "There’s a theory that the bombs were not intended to explode, but were intended to intimidate," Cuomo said. "If that is the intent, then this is having the desired intent. And it could actually be fueling the group that’s doing it." Investigators familiar with such probes caution against a rush to judgment on any theoretical motive, suspect or group of suspects. If you have info that could assist the #FBI's investigation of suspicious packages, call 1-800-CALLFBI (225-5324) or use http://tips.fbi.gov.